Visitors to Maui County spent a total of $403.1 million in May 2018, an increase of 13.7 percent compared to last year, according to preliminary statistics released today by the Hawaiʻi Tourism Authority. On Maui, visitor spending was supported by increases in visitor days (+8.1%) and daily spending (+5.2% to $226 per person). 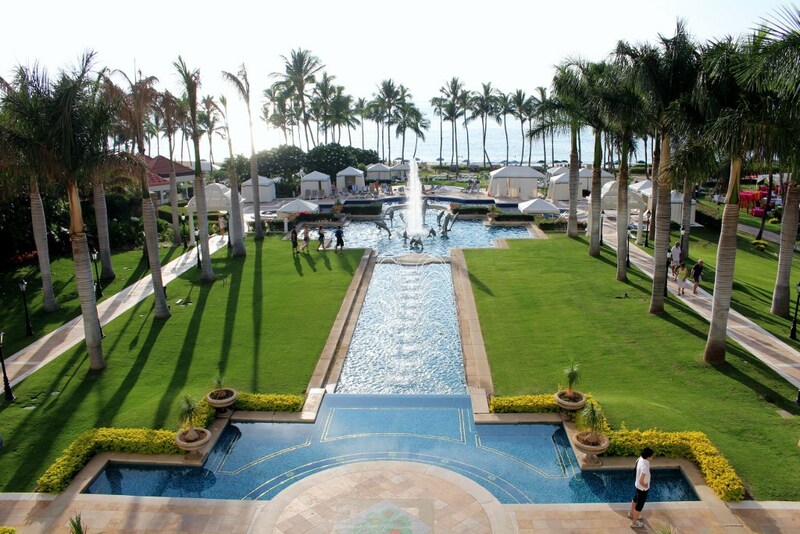 Visitor arrivals to Maui rose 7.3% to 238,268 with more visitors from US West (+11.1%), Japan (+5.7%), US East (+4.3%) and Canada (+0.7%). The average daily census for Maui increased 8.1 percent to 57,668 visitors in May. Year-to-date, visitor spending for Maui was up (+12.6% to $2.27 billion) and arrivals increased (+6.7% to 1,182,951) surpassing results from a year ago. Visitors to the Hawaiian Islands spent a total of $1.42 billion in May 2018, an increase of 11 percent compared to last year, according to preliminary statistics released today by the Hawaiʻi Tourism Authority. “May was the fourth straight month that Hawaiʻi’s tourism industry realized double-digit increases in air seat capacity and visitor spending, two key categories that are interrelated and vital to the state’s economic health,” said George D. Szigeti, president and CEO of the Hawaii Tourism Authority. Trans-Pacific air seats serving Hawaiʻi increased in May by 12.6 percent to nearly 1.1 million seats, while visitor spending grew to more than $1.42 billion, an increase of 11 percent. 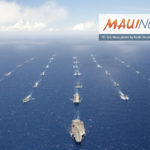 “The growth in both categories is especially noteworthy as May has historically been an off-peak shoulder month for travel to the Hawaiian Islands. 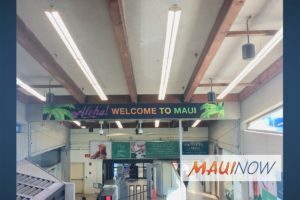 It’s encouraging to know that both air carriers and travel consumers expressed such confidence in Hawaiʻi as a travel destination during May,” said Szigeti. Among Hawaiʻi’s four largest visitor markets, the US West (+9.8% to $525.8 million), US East (+13.4% to $397.8 million) and Japan (+1.2% to $170.8 million) markets reported gains in visitor spending in May, while the Canada market was down slightly (-0.8% to $45.7 million) compared to a year ago. Combined visitor spending from All Other International Markets (+20.1% to $279.7 million) also increased in May. On a statewide level, visitors spent more on an average daily basis (+4.4% to $207 per person) in May versus last year. Visitors from U.S. West (+1.8%), U.S. East (+4.8%) and All Other International Markets (+11.6%) spent more per day compared to a year ago, while visitors from Canada (-5.9%) and Japan (-0.4%) spent less. Total visitor arrivals increased 7 percent to 804,135 visitors in May year-over-year, comprised of arrivals by air service (+8% to 796,178 visitors) and cruise ships (-42.9% to 7,957 visitors). Total visitor days1 rose 6.4 percent. The average daily census2, or the number of visitors on any given day, was 221,371 in May, up 6.4 percent from last year. Arrivals by air service increased from U.S. West (+10.5% to 346,612), U.S. East (+8.9% to 188,363), Japan (+2.3% to 120,729), Canada (+4.3% to 26,484) and from All Other International Markets (+6.3% to 113,990). Visitor spending grew for all four larger Hawaiian Islands in May compared to last year, with increases reported for Oʻahu (+11.4% to $669.6 million), Maui (+13.7% to $403.1 million), the island of Hawaiʻi (+3.3% $173.9 million) and Kauaʻi (+13.3% to $163.1 million). The island of Hawaiʻi realized growth in visitor spending despite a drop in visitor arrivals (-1.6%) in May year-over-year. 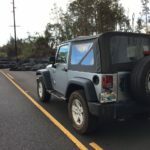 In response to the Kilauea volcano eruption, the Hawaiʻi home-ported cruise ship canceled port calls to Hilo and Kona during three voyages in May. This loss of nearly 6,600 visitors contributed to the overall decrease in visitors to the island of Hawaiʻi in May. A total of 1,094,018 trans-Pacific air seats serviced the Hawaiian Islands in May, up 12.6 percent from a year ago with growth in air seat capacity from Oceania (+18.8%), U.S. West (+15.6%), U.S. East (+14%), Japan (+2.6%) and Other Asia (+0.6%). Year-to-date through May, statewide visitor spending of $7.66 billion (+10.9%) exceeded the results for the same period last year. Visitor spending increased from U.S. West (+9.5% to $2.74 billion), U.S. East (+11.4% to $1.99 billion), Japan (+7.4% to $942.2 million), Canada (+7.3% to $613.3 million) and from All Other International Markets (+17.4% to $1.35 billion). Statewide average daily spending by visitors rose to $209 per person (+3.7%) through the first five months of 2018 compared to the same period from a year ago. Year-to-date, statewide visitor arrivals increased (+8.4% to 4,085,744) versus last year. Visitor arrivals increased from U.S. West (+11.6% to 1,656,803), U.S. East (+8.5% to 909,464), Japan (+0.8% to 616,128), Canada (+6.2% to 286,244) and All Other International Markets (+11.4% to 552,239). U.S. West: Visitor arrivals increased from the Pacific (+9.1%) and Mountain (+17%) regions in May compared to a year ago, with growth reported from Utah (+23.6%), Colorado (+22.4%), Oregon (+12%), Washington (+10.7%), Arizona (+9%) and California (+8.8%). Through the first five months, arrivals rose from the Mountain (+13.6%) and Pacific (+11.4%) regions versus the same period last year. U.S. East: Arrivals increased from most regions in May except the Mid-Atlantic (+0.2%), which reported flat growth versus a year ago. Year-to-date, all regions showed increases in arrivals highlighted by growth from the two largest regions, East North Central (+10.5%) and South Atlantic (+9.8%). Japan: More visitors stayed in hotels (+7%) in May compared to last year, while stays in timeshares (-29.2%) and condominiums (-4.5%) were down. Additionally, more visitors purchased group tours (+22.9%) compared to May of last year. Canada: Significantly more visitors stayed in rental homes (+56.9%) in May versus last year. Stays in condominium (+8.1%) and timeshares (+2.3%) also increased in May year-over-year. MCI: A total of 48,030 visitors came for meetings, conventions and incentives (MCI) in May, an increase of 12.5 percent compared to last year. Significantly more visitors came to attend conventions (+47.3% to 22,366), and there were also more visitors who traveled on incentive trips (+3.8% to 19,877). Contributing to the growth in convention visitors were the more than 3,000 delegates who attended the 2018 American Academy of Pediatric Dentistry at the Hawaiʻi Convention Center. In addition, the 2018 Association for Research in Vision and Ophthalmology convention, also held at the Hawaiʻi Convention Center, started in late April and continued through the first week of May with more than 10,000 delegates participating. Year-to-date through May, total MCI visitors was up (+2.7% to 247,600) from the same period last year.